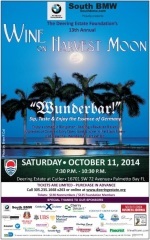 Looking for something fun to do in Palmetto Bay on a Saturday Night? Look no more. Not only is this fun, its also FREE. That sure beats the movies at $9 a pop. The Southern Cross Astronomical Society has been bringing astronomy to us since 1922. 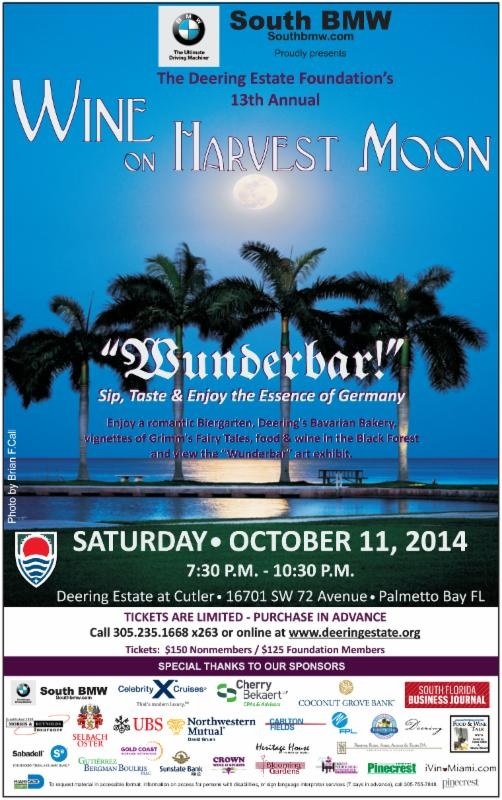 They meet each Saturday night at the Bill Sadowski Nature Preserve in Palmetto Bay from 8 – 10PM. Their volunteers do this for fun. We’re lucky! I took the kids there this past weekend. We checked the weather and headed out. When we arrived at the park, the gates were open (they’re usually locked at this time) so I was pretty sure they were there in spite of the rain that had been threatening all day. As we turned into the park I turned my lights off. My youngest reminded me that I shouldn’t be driving at night without my lights on. I explained to her that I had shut them off at the request of the SCAS website. She couldn’t understand why until we met and chatted with one of the volunteers inside. As we parked I have to admit that I couldn’t see a darn thing and was thinking I should just put the car in reverse and head back home. Must be the paranoid, over-protective mother in me! There were only 3 cars in the parking lot that I could see. We heard some voices coming from over where I knew the telescope pad is and I ushered the kids over there. As we approached, our eyes started adjusting to the dark and I could see that there were a few more cars over by the pad. These apparently belonged to the SCAS volunteers. On the pad there were 3 huge telescopes set up for viewing. They were nothing like the long-awaited Christmas gift telescope of childhood years. These things were impressive! Two had laptops hooked up to them and they were all programmable. I saw the guys punch in numbers that would set the telescope whirring and turning as it looked for another celestial body to focus on. The gentlemen that were there were very friendly and helpful. They let the kids view whatever their scopes were focused on and encouraged questions. Once the kids got their first peek through one of the eyeviewers their curiosity took over and a barrage of questions ensued. When will it reach us? How far away can we see with these? When did the star blow up that made the ring Nebula? What’s gonna happen when those two galaxies collide? As we chatted about not having the car lights on when driving into the park, (it ruins their night vision and takes them 30 minutes to adjust their eyes again) one of the guys told us something he’d learned about pirates. It seems pirates had a reason for wearing eye patches, besides covering a maimed eye. The covered eye would be acclimated to the dark and when they went below deck they would switch the eyepatch so they could see above or below deck easily. Pretty neat, eh? He appreciated the fact that we had turned our lights off. I could see what a difference it made when a car came in 2 minutes later with their beams shining brightly on all of us. We all turned and looked the other way. Somebody felt rain and they all scrambled for their plastic coverings. We ran away and thanked them for their time and laughed as the rain got to us before we could get to the car. Looking to buy or sell real estate in Palmetto Bay? Contact the real estate agent who can guide you each step of the way. When I moved to South Florida in 2001, what is now known as Palmetto Bay was another section of Miami. While some old timers still refer to it as Perrine, the official mailing address was Miami, Florida. No more. The Village of Palmetto Bay incorporated on September 10, 2002 and is alive and well today. I like visuals and I think most people do too. Here’s a map to place yourself. Palmetto Bay is outlined in red. The North border is SW 136th Street (The Falls Shopping Center is directly across US 1 at this point). The South border is SW 184th Street, also known as Eureka Drive. The West boundary is US 1 (South Dixie Highway). And over on the East, is Biscayne Bay, the glorious water! Doesn’t that water look pretty? It looks even better from the ground. Come see for yourself! If you click on the map, you can download a larger, detailed version of it, which you can print if you need it. Spoken by Maggie Dokic | Discussion: Comments Off on Where Is Palmetto Bay? The Bill Sadowski Nature Preserve in Palmetto Bay is the only greenspace of its kind in the area. It has three distinct habitats within its compound: pineland; tropical hardwood hammock; and a drained everglades slough. It is roughly 30 acres in size and is open from sunup to sundown, although if you’re driving there, the car gates are open only from 10:00AM – 5:00PM. As you drive into the park you’ll notice monkey bars and nice, soft sand for the little ones to the right. Keep driving into the parking area and you’ll see the campfire ring with built-in benches. A lot of groups have held scary storytelling around the fire here. In the main building there are live animal exhibits. Here you’ll find mostly fish and turtles, all species that live in the surrounding canals. The park manager, Barbara, tells how years ago, when they took kids fishing on the canal, it wasn’t unusual for them to catch 100 fish in an hour. Now they’re lucky to catch 3. That makes the efforts taken on by this park, and others like it, that much more important. There are after-school programs and summertime programs for kids of all ages, all focused on nature study and preservation. You can also schedule an Eco-Adventure tour. One of the tours has you paddle a canoe on the canal from Bill Sadowski Park all the way to Coral Reef Park and back. It’s a moderate pace but will take about 4 hours. Instead of driving past a canal, you get an inside-out perspective! The preserve has a canal as one of it’s boundaries and you can rent canoes here. Feel more comfortable on foot? There’s a nature trail that is only about 3 feet wide and travels in loops around the natural Florida flora. My mother’s a chicken and didn’t have the guts to walk it. She took a peek in at where it started and it reminded her too much of one of those labyrinth mazes. There is a short loop if you don’t have time, or the inclination, to walk the full trail. The short loop takes about 5 minutes and the full trail about 20. The butterfly garden on the premises is open air. Butterflies are not kept against their will here =) Instead, they are enticed to come for long visits by making sure their favorite plants are on hand and blooming. Picnics are encouraged but please make sure you pick up after yourself. If you’re lucky you’ll see a parade of peacocks as I did on my visit. Peacocks actually make a lot of noise and, while beautiful to see, are not so nice to have as neighbors. They’re messy and loud. Every Saturday night, weather permitting, from 8:00 – 10:00PM, the Southern Cross Astronomical Society sets up telescopes on their own observatory pad at the park. It’s free and fun. Check the weather and head on out! When I first moved to South Florida I fell in love with the trees here. The different varieties of palm trees are hard to keep up with. The Royal Poinciana is another favorite. But the Banyan tree captivates me. Banyan trees can be found throughout South Florida. They are quite impressive. If you take a drive on Old Cutler Road starting in Palmetto Bay and heading north to Coral Gables, you’ll see many of them. Their canopies can extend clear across the street. But it’s their trunks that mesmerize. There’s something primitive about them. They always make me look and wonder. I’m not quite sure what I wonder about when I look, but time seems to stand still when I’m around the Banyan. I researched the Banyan shortly after arriving here and was surprised with what I found. The Banyan tree is a fig that usually starts it’s life on another tree. Birds will drop the seed in a crevice of the trunk of another tree and the seed will germinate. It then sends roots down to the ground. Eventually, the Banyan ends up engulfing the tree that gave it life. For this reason the Banyan is also known as a Strangler Fig. In Robinson Crusoe, the main character made his home in a Banyan tree. The first Banyan tree planted in South Florida was in Ft. Myers. It was a gift to Thomas Edison from Harvey Firestone. Mr. Firestone was introduced to the Banyan in 1925 on a trip to India, one of the native countries of the Banyan tree. The tree he gave Mr. Edison was originally 4 feet tall and now covers 400 feet. Incredible. Even knowing that a Banyan tree strangles it’s host tree I can’t help but admire it’s beauty. Despicable natural instinct or tenacity? Maybe that’s what I think about when they capture my attention. How they share certain qualities with people. People are ticked off. They’re angry over the resolution passed by Palmetto Bay commissioners charging the public a fee for using Coral Reef Park. The resolution passed last month and parents lost no time letting Palmetto Bay Mayor Eugine Flinn Jr. and the commissioners know how they felt about it. Palmetto Bay now charges organizations that use the park a $15 user fee per member per season. Use of the park used to be free. There are many youth organizations and sports leagues that use Coral Reef Park. One such group is Pop Warner Football and Cheerleading. They’re a non-profit group that has used the park for the last 4 decades. Critics of the resolution argue that funding for use of the park is already in place in the form of property taxes. With the new fee they are, in essence, paying twice to use the facilities. Village commissioners see things slightly different. They claim that groups such as Palmetto High School and the YMCA already pay a usage fee, so why not everyone else? Especially Pop Warner, since many of their members don’t live in Palmetto Bay. And to think this is all because of reduced funds due to the tax relief efforts started up in Tallahassee. The tax relief which has been waylaid and seems to be in need of resuscitation efforts. I haven’t seen any tax relief. Have you?